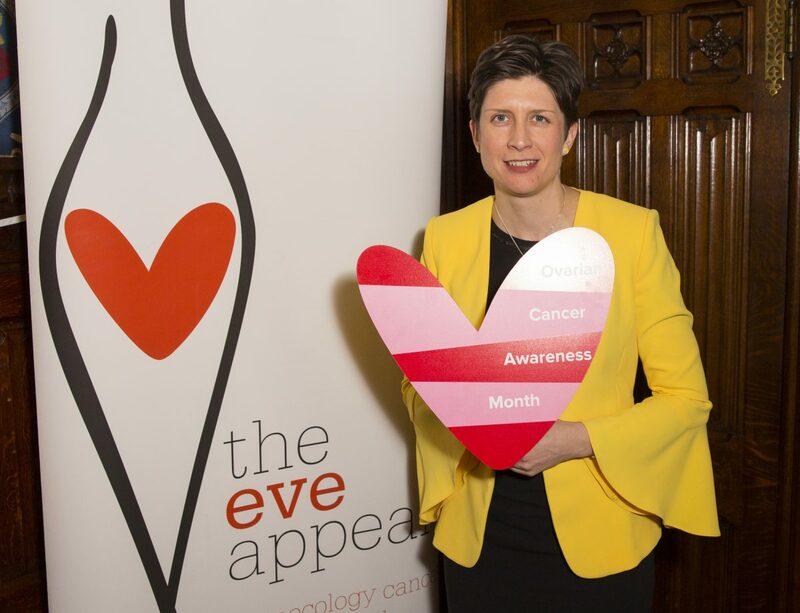 Alison Thewliss, MP for Glasgow Central, joined a tea party at the House of Commons organised by women’s cancer charity The Eve Appeal to mark the start of Ovarian Cancer Awareness Month. Every year in the UK approximately 7,300 women are diagnosed with ovarian cancer and sadly 4,200 women lose their fight – that’s 11 women every day. Ovarian cancer is the sixth most common cause of cancer death in women and accounts for more UK deaths than all of the other gynaecological cancers put together. Most women are not diagnosed until ovarian cancer has spread, which is why it is important that women know about the symptoms, so that they can seek advice as early as possible. As part of the month-long campaign Make Time for Tea, the charity is encouraging people to hold a tea party where they raise awareness and funds for ovarian cancer. This campaign will raise vital funds for pioneering research into early detection and prevention. “The biggest piece of mis-information out there is that ovarian cancer is a symptomless, ‘silent’ disease. Ovarian cancer isn’t silent. There needs to be much greater awareness of the symptoms. The charity advises local women to always follow the ‘rule of three’. If you’ve had symptoms for three weeks or more, then visit your GP. If you’ve had to see your GP on more than three occasions for these symptoms, and haven’t been referred to a specialist, ask for a referral. If you have any worries or questions about the signs and symptoms of any of the gynaecological cancers, contact The Eve Appeal’s nurse information service Ask Eve for free, confidential information: nurse@eveappeal.org.uk.